Successful conservation of marine and coastal species is accomplished through numerous partnerships among local, state, and federal agencies, and non-profit organizations. This is especially true for the Seabird Protection Network. This article is the second of a two-part series about our partnership with the U.S. Coast Guard Auxiliary who provides valuable data about human uses and human wildlife interactions in national marine sanctuary waters. The USCG Auxiliary Air (AuxAir) participates in NOAA operations. What began as an operation within the Monterey Bay National Marine Sanctuary has more recently included operations over the Gulf of the Farallones National Marine Sanctuary in support of the Seabird Protection Network. As a newcomer to these missions, the unit has rapidly integrated the needs of the Network into its weekly tasking and continually improves a spiraling capability that is being noticed by other agencies and organizations. 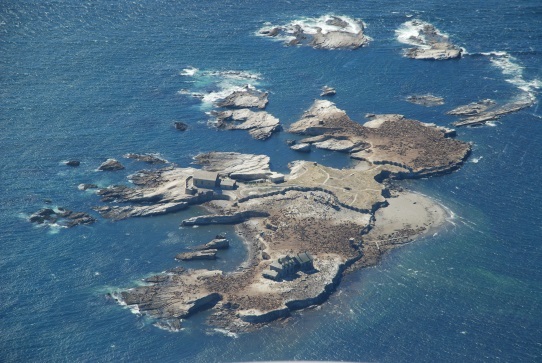 In 2011, a C-130 flight was the start of a partnership between AuxAir and the West Coast national marine sanctuaries. It was then that Monterey Bay sanctuary staff discovered that Coast Guard District 11N (servicing the California Central and North coast) had a very active and highly experienced Coast Guard Auxiliary aviation capability. Discussions about the routine patrols immediately revealed the value of AuxAir’s frequent air presence and routine patrol operations. The concept to use AuxAir as a force multiplier to assist the Sanctuary was quickly run through the appropriate Coast Guard channels, including USCG Air Station San Francisco. Within days, the AuxAir Squadron 11N began to integrate aircraft and crews over the Sanctuary on routine operational patrols. The first exploratory missions in the Sanctuary began in early January 2011. The Sanctuaries issued an Air Patrol Guide and recommended a report form including a detailed checklist of observations and points of interest to AuxAir flight. So began Auxiliary Squadron 11N’s assistance with Sanctuary protection. Seabird Protection Network (Network) was introduced to the squadron, and shortly after an orientation briefing for the aviators; patrols began to record whale sightings, seabird colonies, fishing practices and boat counts within the Sanctuary. Almost immediately, this partnership was put to good use, when a container ship lost several containers overboard miles off the Golden Gate. The squadron conducted a search along the shoreline and one container was quickly spotted, during a Network mission, washed ashore in a hidden cove just south of Tomales Point. This find helped the Sanctuary to respond quickly. For seabird protection, squadron crews integrate the mission into routine patrols of the shoreline north of the Golden Gate. AuxAir is ever watchful of infractions by boaters or the curious who venture too close to seabird colonies. When flying these patrols, squadron aircraft fly both north and south profiles, covering the same areas twice. Seabird Protection Network personnel occasionally join squadron flights, taking photos and observing seabird colonies – although keeping count and condition of birds is difficult from above 1,000 feet, it is possible to recognize activity and if conditions appear healthy. Over the past two years, auxiliary aviation has proven a valuable, cost-effective solution to providing agencies with important and relevant information that helps protect the marine environment. These successful partnerships depend on matching agency needs to the capabilities of the Coast Guard AuxAir. For the last several years, auxiliary aviation has provided flight operations far beyond its original purpose and AuxAir missions have broadened and diversified. With each new operation type, new training benefits existing operations and missions, better preparing AuxAir crews to meet new challenges. 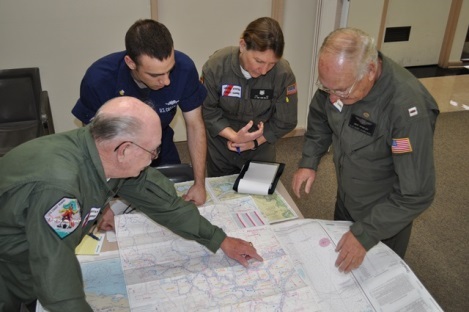 Considering the increase in mission structure, the success of auxiliary aviation meeting those structures promptly and effectively certainly show a capability and expertise far beyond what might be expected of a part-time, volunteer organization like the Coast Guard Auxiliary.